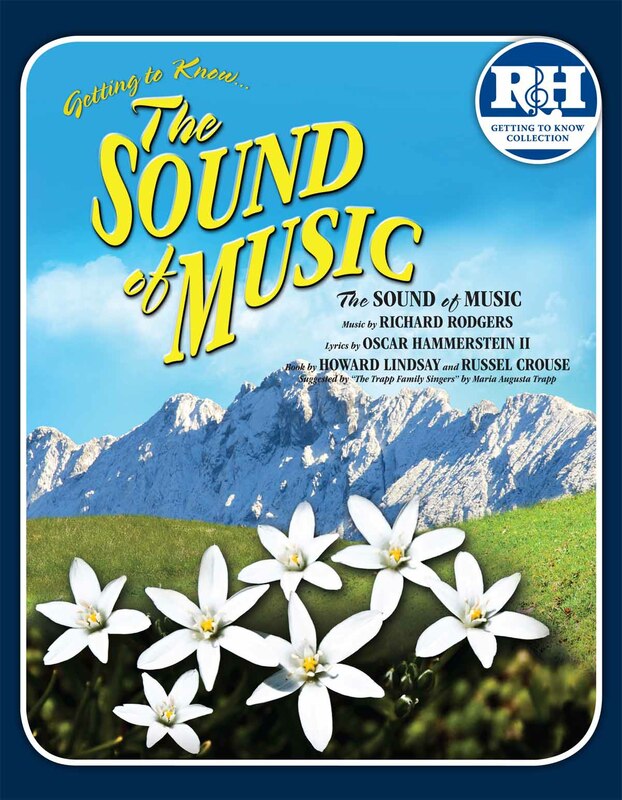 R&H Theatricals, a division of Rodgers & Hammerstein has released a student version of THE SOUND OF MUSIC, it was announced today by Rodgers & Hammerstein president Ted Chapin. This new theatrical property is part of R&H’s Getting to Know Collection. Applications are being accepted now, with materials shipping in February for customers in the USA and Canada and at a later date for other countries around the world. Schools and educational musical theater groups interested in licensing the musical may click here. 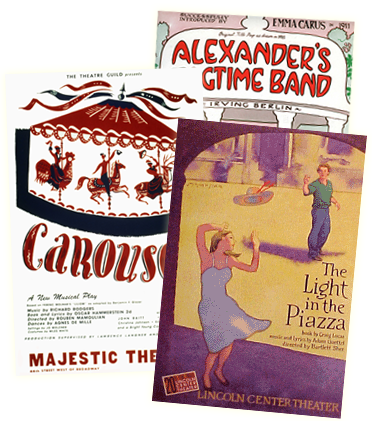 The hour-long musical was adapted for young performers by iTheatrics under the supervision of its founder and CEO, Timothy Allen McDonald. iTheatrics is collaborating with Rodgers & Hammerstein to completely reimagine the entire Getting to Know Collection . Getting to Know… THE SOUND OF MUSIC, will be the first title to feature the new materials. “THE SOUND OF MUSIC is the world’s most enduringly popular musical. Its familiar story of the von Trapp family and the woman who starts as their governess has proven to be far more than a simple tale. As with any good story, there is an underlying truth: that we each have a life we were born to live, and it is our task to find that life. And, of course, for THE SOUND OF MUSIC Rodgers & Hammerstein wrote some of the best songs of all time. The fact that in collaboration with iTheatrics we can now bring a student version of THE SOUND OF MUSIC to the school market is reason for celebration,” says Chapin. R&H Theatricals selected iTheatrics to create the student version of the show as well as accompanying support resources for educators – which are designed to make sure that anyone, anywhere has the tools and information necessary to successfully stage a musical production with students. These resources include a Production Guide for directors, a Vocal Recording for rehearsal, a recording of the Accompaniment Music and a Choreography and Staging DVD, which takes directors step-by-step through the process of creating and staging musical numbers. In an industry-wide first, Getting to Know… THE SOUND OF MUSIC Production Pack will include a downloadable Rehearsal Ready Pack, which will provide teachers the ability to download key components like the Production Guide and Vocal Tracks prior to receiving their physical Production Pack. “To be able to re-imagine and adapt THE SOUND OF MUSIC for young people to perform was at first a really daunting task. But once we rolled up our sleeves and started workshopping the show with our kids we quickly found a way to bring the show to life in the most imaginative way that will also be achievable in school and afterschool programs everywhere” says McDonald. Getting to Know… THE SOUND OF MUSIC is adapted from the musical THE SOUND OF MUSIC, featuring music by Richard Rodgers, lyrics by Oscar Hammerstein II, and a book by Howard Lindsay and Russel Crouse, which was based on the book "The Story of the Trapp Family Singers" by Maria Augusta Trapp. The 1965 motion picture version of the show, starring Julie Andrews and Christopher Plummer and directed by Robert Wise, remains the most popular movie musical of all time. The film earned five Academy Awards, including Best Picture, and has been included in the National Film Registry. On December 5th, 2013 NBC will broadcast a live production of the stage musical starring six time Grammy Award winner and American Idol alum, Carrie Underwood. In THE SOUND OF MUSIC, when one postulant proves too high-spirited for the religious life, she is dispatched to serve as governess for the seven children of a widowed naval Captain. Her growing rapport with the youngsters, coupled with her generosity of spirit, gradually transforms the stern household. The family’s newfound happiness is eclipsed by the annexation of Austria by the Nazis, who demand the Captain's immediate service in their navy. Founded in 2006 by educator and author Timothy Allen McDonald, and headquartered in New York City, iTheatrics is the world’s leading authority on musical theater for young people. iTheatrics develops three separate collections of musicals for leading musical theater licensing agencies including the Getting to Know Collection® (R&H Theatricals); the Young Performers’ Edition of musicals (Tams-Witmark Music Library); and MTI’s Broadway Junior Collection® and School Edition musicals (Music Theatre International and Disney Theatrical Group). Working with esteemed partners such as the President’s Committee on Arts and the Humanities, New York City’s Department of Education, The Kennedy Center for the Performing Arts, McGraw-Hill Education and NBC Universal, iTheatrics develops and implements dynamic programs to build cost-effective and sustainable musical theater programs in under-served schools. As arts advocates, iTheatrics’ annual Musicals in Our Schools Week shines a spotlight on the importance of musical theater programs in schools while the annual Junior Theater Festival has become the world’s largest festival exclusively dedicated to celebrating young people and student-driven musical theater. Find out how you can make the world a better place - one musical at a time - at iTheatrics.com. Is this version based on the stage musical or the movie musical?